As entries continue to arrive from all over the world and across the United States for the 45th anniversary of the legendary Tecate SCORE Baja 1000, all the elements for the SCOREville exhibit at the upcoming Off-Road Expo at the Fairplex in Pomona, Calif., are being finalized as well, including the live drawing for starting positions for the granddaddy of all desert races. The SCOREville exhibit at the Off-Road Expo will salute SCORE Baja Legends and the Off-Road Motorsports Hall of Fame on October 6 & 7. In addition to static displays of vintage and current desert racing vehicles along with autograph sessions with many of the stars of the sport, both past and present, a live drawing for starting positions for this November’s 45th Annual Tecate SCORE Baja 1000 desert race will be held at the Off-Road Expo on Saturday, October 6. The official course map for the race will also be unveiled during the event. SCORE will also announce and introduce the grand marshals for this year’s historic event. On both October 6 & 7, autograph sessions will be held from noon to 2 p.m. at SCOREville with many of the top desert racers from today and yesterday. The live drawing for starting positions, by class, as well as the unveiling of the official course map for the November 14-17 race that run down the length of the Mexico’s majestic Baja California peninsula will start in Ensenada, Baja California and finish in La Paz, Baja California Sur. Nearly 300 entries, from nearly 20 countries and 40 U.S. States, competing in 35 Pro and six Sportsman classes for cars, truck, motorcycles and ATVs are expected to compete in this year’s international adventure. 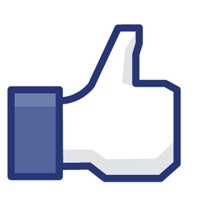 While late entries will be accepted up until race morning on Nov. 15, in order to be included in the start draw at SCOREville, entries must be received by SCORE no later than noon on Tuesday, October 2 . “With the support and assistance from the Off-Road Expo and the Off-Road Motorsports Hall of Fame along with BFGoodrich Tires, and Red Bull, SCORE is honored to return to the Expo in a such a huge way, much like we did in 2007 for the 40th anniversary of the granddaddy of all desert races—the Tecate SCORE Baja 1000,” said Fish, who has led SCORE since soon after it was founded in 1973. SCOREville at the Expo will also include a major display from the Off-Road Motorsports Hall of Fame as well as a pictorial tribute timeline to the first 44 years of the Tecate SCORE Baja 1000 through the lenses of Trackside Photography. SCORE will also debut the official commemorative merchandise of the 45th annual Tecate SCORE Baja 1000. 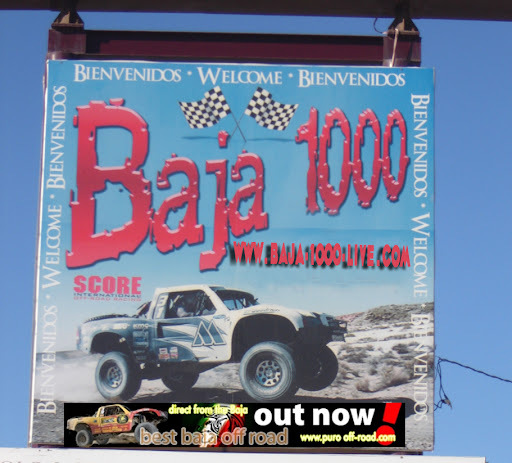 SCOREville will also feature the SCOREville theatre showing numerous SCORE Baja 1000 race videos including the iconic 2004 film “Dusty to Glory”. The 2012 Lucas Oil Off-Road Expo Powered by General Tire is the greatest collection of off-road companies, parts, equipment, gear, and experts assembled in America with over 350 exhibitors. From off-road racing to rock crawling, trail riding to sand sports, motorcycles to ATV’s and camping to adventure travel, the event provides the unique opportunity to meet and talk with the most knowledgeable people in the off-road industry. With a full weekend of excitement, event features include the Lucas Oil Off-Road Racing Exhibition Course, Toyota off-road test drives, Yamaha ATV/UTV Demo Track, High-flying Freestyle Motocross action, autograph sessions with off-road celebrities, the Overland Adventure Travel Pavilion, Miss Off-Road Expo Contest and live music all weekend on the Bud Light Entertainment Stage. 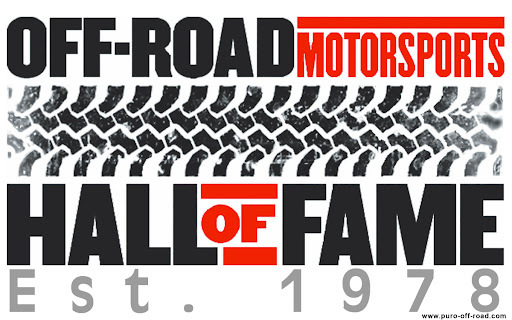 The Off-Road Motorsports Hall of Fame, located in Reno, Nev., includes SCORE’s Sal Fish as one of its legendary inductees. Rod Hall, the chairman of the ORMHOF is the only person who has raced in all 44 Tecate SCORE Baja 1000 races and he has a race-record 21 class wins in the international motorsports extravaganza.